Empowering Practice 2014 is delighted to support the campaign for the maintenance of the Moreno House’s in Bad Voeslau, Austria where he lived and worked. Jacob Moreno is the father of psychodrama. 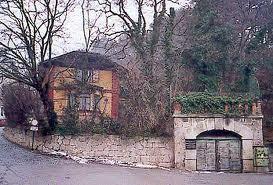 We would like to honor him by maintaining the Moreno House in Bad Voeslau, Austria where he lived and worked. Keeping the spirit of his work alive, we are presenting Souldrama as a 24 Hour Workshop. Souldrama® is an outgrowth of psychodrama that integrates all his tools in order to align the ego and soul to act as co creators with the divine. A transpersonal process, it integrates all three of our intelligences,removes the blocks in our life and helps us to access our spiritual intelligence. Souldrama® that is a new model for addiction recovery and spiritual growth.